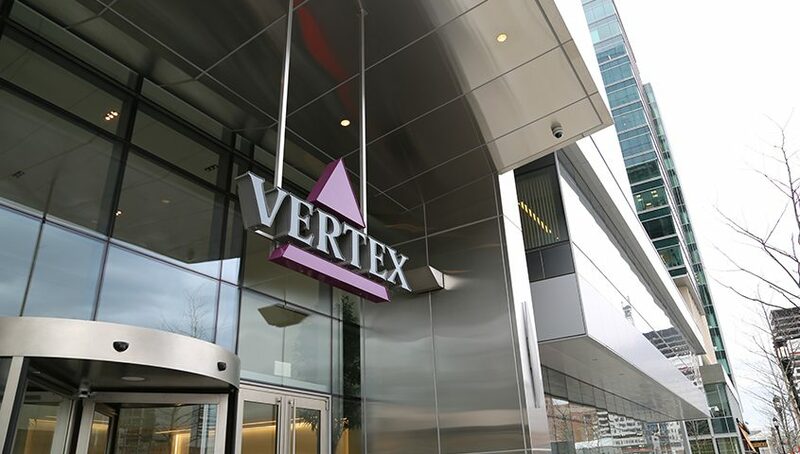 Editor’s note: This is the last of a four-part series looking at Vertex Pharmaceuticals and its “all in for CF” approach. Here, we look at treatment pricing disputes, and the company’s support for the CF community. Vertex is well-known for its three approved cystic fibrosis (CF) treatments — the only disease-modifying CF therapies currently available. But the company’s been grabbing headlines lately for another reason — its medicines, like many rare disease treatments, are quite expensive. The public health systems of some countries are unwilling to pay for them. While most agreed to cover Vertex’s first and, to date, most effective CF therapy, Kalydeco, countries that regulate prices strictly — like those in Europe — have hesitated at the yearly price tag (now about $272,000) put on Orkambi, even though it could treat far more patients. 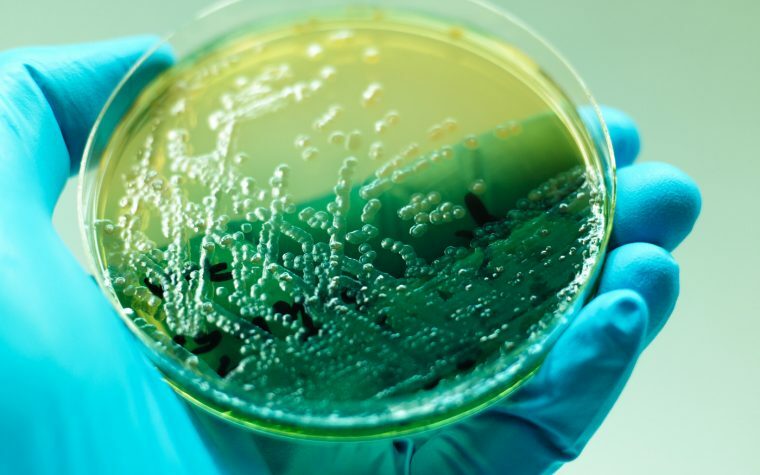 Similar issues are likely to greet Symdeko, which entered the U.S. market this year at $20,000 more than Orkambi. Vertex has responded by working with each country’s health authorities, sometimes successfully, on public reimbursement schemes. It also offers “portfolio deals” that give a country access to its range of CF treatments at a fixed price for a number of years — including treatments yet-to-come. But if all fails, Vertex can play hard ball, like announcing that planned clinical trials might not take place in a given country. All three treatments are available in the U.S. at their respective list prices. But regulators like the U.S. Food and Drug Administration (FDA) are unusual in not negotiating prices for medicines entering the market — that’s left to private insurers and pharmacy benefit managers. This is a growing point of contention among states, obligated to support ever more costly therapies under Medicaid programs. Patients are inevitably caught in the middle of pricing fights, even if that is no one’s intent. It’s not yet clear when or how they might be resolved. 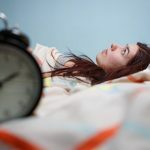 Kalydeco (ivacaftor) was approved in 2012 for the roughly 3 percent of CF patients with the G551D gating mutation, arriving with a U.S. wholesale acquisition price of $294,000 per year per patient. Its annual list cost — what a person would pay without any plan discounts or insurance coverage — is now about $311,000. 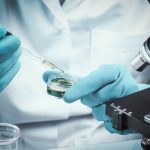 Justifying its price has been the extensive research that went into creating the first disease-modifying treatment for CF, and the extremely limited number of patients Kalydeco could treat — this rare gating mutation affects about 1,100 people in the U.S. and 2,150 worldwide. Many countries welcomed Kalydeco, the U.S. leading the way on approvals, and many quickly included it among treatments offered through their respective health systems — making Kalydeco available at low or no cost to patients. Such decisions depend on the agreement reached between Vertex and a given country’s health authorities, and details are seldom disclosed. Scotland is an exception. A newspaper inquiry reported it apparently agreed to pay £180,000 per patient annually under a special fund created in 2013 for treatments for rare disease patients whose medicines were not covered by the Scottish Medicines Consortium. The Herald also reported that Kalydeco consumed almost 86 percent of all money put aside under that fund for 2013–14, or £18.6 million of its £21.7 million total. Kalydeco netted Vertex an impressive $371.3 million in 2013, its first full year on the market, despite the limited number of patients using it. Its indications have expanded over the years, and Vertex’s net revenue for Kalydeco grew to $845 million in 2017. Nichols noted the company reinvested 70 percent of its earnings into research and development over the last five years, supporting work that would lead to two other disease-modifying therapies: Orkambi in 2015 and of Symdeko in 2018. While Kalydeco could treat only 3 percent of CF patients when approved, Orkambi can benefit about 40 percent. But Orkambi was never quite as effective as Kalydeco. In pivotal clinical trials, mean absolute changes in a measure of lung health called FEV1 (the volume of air that can forcibly be expelled in one second) for Kalydeco were 10.6 and 12.5 percentage points compared to 2.6 to 3.0 for Orkambi. That’s when problems began. Healthcare systems in a number of countries initially refused to pay Orkambi’s yearly per patient list price, now about $272,000, saying that its benefit didn’t match its cost. Many — including Australia, Austria, Denmark, Germany, Ireland, Italy, the Netherlands, and Sweden — would change course. But the U.K. and France have continued long and, at times, vitriolic negotiations with Vertex, leaving patients without easy access. Still, because Orkambi treats the most common CF mutation (F508del), it’s been lucrative. In 2016, the first full year after its FDA approval, Orkambi brought in $980 million as net revenue, surpassing Kalydeco. One year later, reported net earnings were $1.32 billion. A newer combination therapy, named Symdeko in the U.S. and Symkevi in Europe, was approved this year by the FDA and given a thumb’s up by a panel that advises the European Medicines Agency (EMA). Symdeko (tezacaftor/ivacaftor and ivacaftor) works for many of the same patients who use Orkambi, but is considered safer and more effective. In its various clinical trials, treated patients recorded FEV1 mean absolute improvements of 4.0 and 6.8 percentage points compared to placebo. At an initial U.S. list price of $292,000 per patient per year, it may well meet resistance in Europe and elsewhere — Canada and Australia come to mind — and a backlash may be underway in the U.S. These differences aren’t likely to end soon. Phase 3 clinical trials are starting for two of Vertex’s triple-combination therapies, VX-659 and VX-445 — NCT03447249, NCT03460990, NCT03525548, NCT03525444 — and if successful, the company plans to request FDA approval in 2019. Possible prices for investigational treatments are, of course, unknown. But these potential next-generation therapies aim to treat 90 percent of CF patients, ensuring that — whether priced a bit higher or lower — they’ll be profitable. A fine line facing companies like Vertex, however, is that “the cumulative cost of therapies for rare diseases may be impossible to bear,” the Harvard Business Review stated in 2017. Under these deals, Vertex sets one price for all of its CF treatments that come available over a given number of years. Essentially, Sweden and Ireland brought Orkambi into their health plans, along with the possibility of Symkevi and future CF medicines. But portfolio agreements haven’t smoothed tensions everywhere. Talks have since “restarted,” she said, and Vertex has opened French sites testing VX-445 in combination with tezacaftor and ivacaftor. 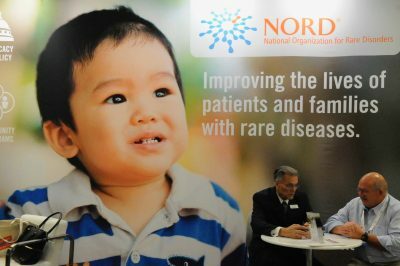 In the U.K., patient advocate groups urge health authorities to accept a portfolio deal that the company called “the best offer in the world.” In refusing, the National Health Service suggested instead that Vertex waive its nondisclosure agreement so the public might judge that best offer. 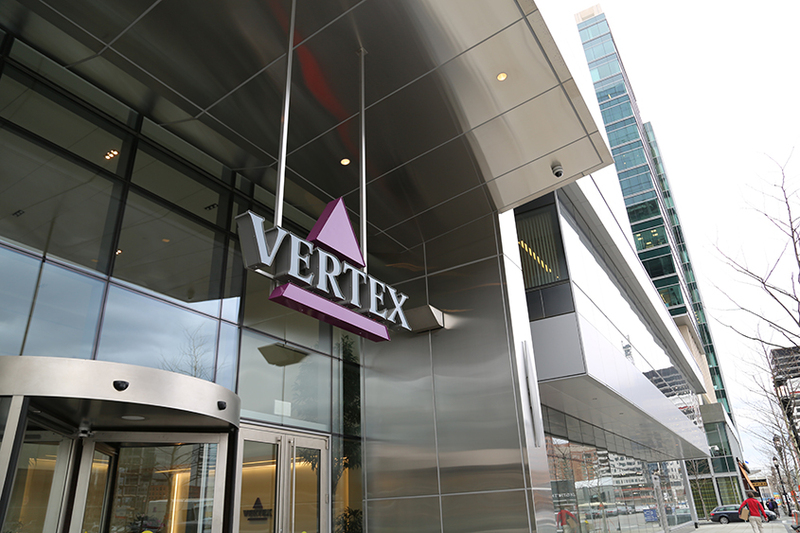 Vertex says it remains ready to resume talks at a moment’s notice, Nichols said. In the U.S., meanwhile, New York is among states testing a Medicaid-inspired rebellion against Vertex and the spiraling costs of medications in general. Medicaid, a state-federal run health program primarily for the poor, is required by law to cover approved treatments. Medicaid officials in New York requested a 70 percent discount on Orkambi in April, in line with what would be suggested by the Institute for Clinical and Economic Review (ICER) in a final report issued just months later — part of a CF treatment pricing review ICER began in 2017. State officials, in total, requested discounts from pharmaceutical companies on 30 different medicines, including Orkambi. All but Vertex came back with offers, the The New York Times reported. Nichols discounts arguments based on ICER’s reasoning, noting “the sort of formula that they use for cost effectiveness just doesn’t work for medicines like ours,” meaning the first medicines to work against disease progression and to carry long-term benefits. 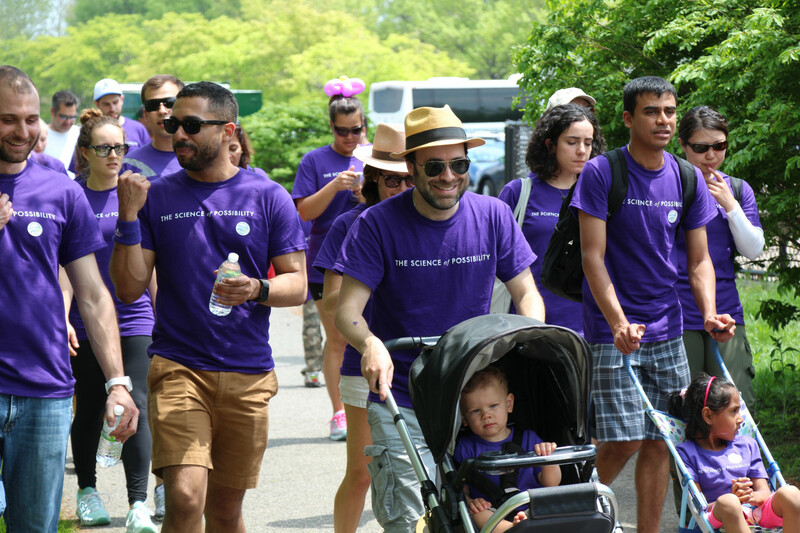 Vertex employees take part in a Cystic Fibrosis Foundation “Great Strides” walk. While Vertex is willing to go to the mat over prices, it goes out its way to foster deep and constructive ties with CF patients. Being “all in for CF” means much more than a treatment pipeline. People with CF are living longer than ever. A life expectancy of 10 years in 1962 now stretches to middle-age, meaning patients have opportunities — like going to college and starting families — largely unimaginable a few generations ago. Vertex is leading the way here, too. 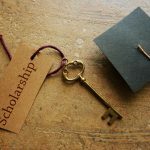 The company reports donating more than $34 million in grants and scholarships since 2011, awards that now include $5,000 in scholarships given annually to 80 patients or their siblings to pursue two-year, four-year, and graduate degrees. 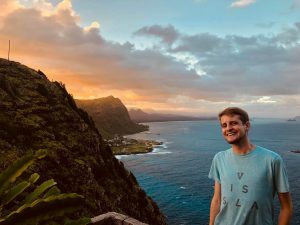 It launched The Vertex Foundation this year with a commitment to “sustained giving” of $500 million over the next 10 years in support of education, access to treatments, and aiding the careers of young researchers. For younger patients, it sponsors the Team IMPACT program, which allows children with CF and other rare diseases to “join” college sports teams as honorary members. 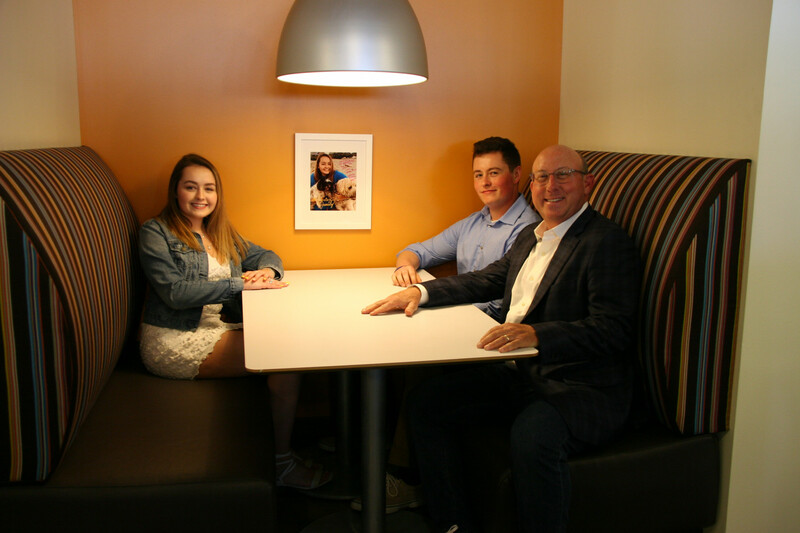 A CF patient, joined by Vertex CEO Jeffrey Leiden (front right), sits near her cafeteria photo. 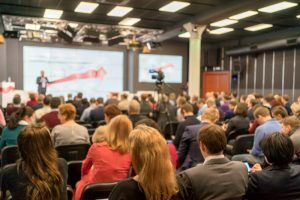 Beginning with Kalydeco, the company set up the Vertex Guidance and Patient Support program linking those enrolled with case managers who can help in navigating insurance and treatment costs. GPS, as the program is known, covers all Vertex CF medicines. 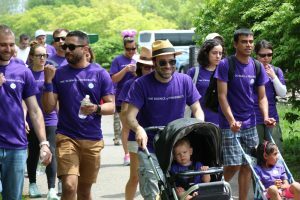 Though directly benefiting patients and families, these programs also help to keep Vertex scientists motivated and focused. Vertex’s CF patients “inspire us and we feel a connection to them,” Negulescu added. They and their families also regularly visit the company’s Massachusetts headquarters. Even when they’re not there, booths in the company cafeteria sport a CF family’s photo. “They’ll always have a seat at a Vertex table,” Nichols said. Tagged kalydeco, Orkambi, portfolio deals, Symdeko, The Vertex Foundation, Vertex.